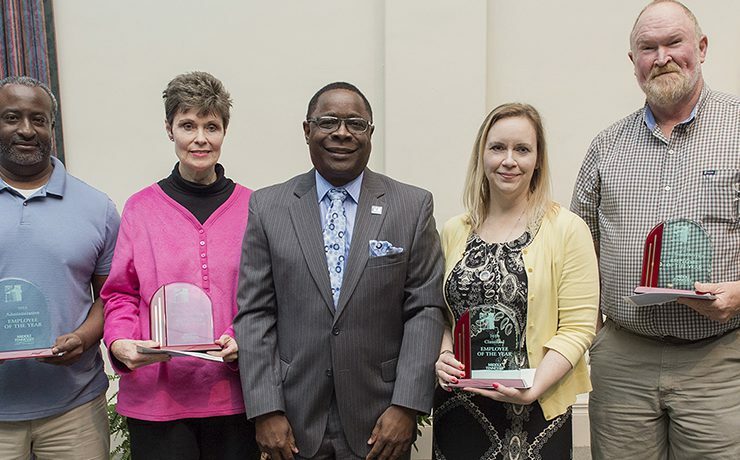 Four of MTSU’s finest staff members celebrated their recognition as the “Employees of the Year” during a special ceremony and reception in the university’s James..
Another MTSU employee has been recognized for outstanding service to her department, colleagues, students and the university. 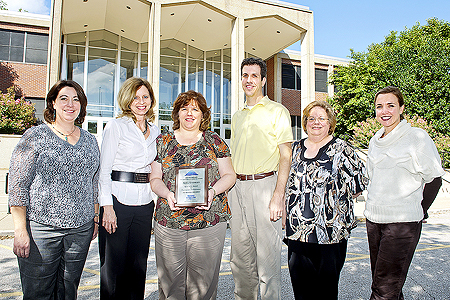 Yvonne Elliott, shown at center, executive aide in..
An MTSU employee has been recognized for outstanding service to her department, colleagues, students and the university. Deborah Hall, an executive aide in MTSU’s Department..
Four of MTSU’s finest are celebrating recognition as the “Employees of the Year” after a special ceremony and reception in the university’s James Union Building..
Another MTSU employee has been recognized for outstanding service to her department, colleagues, students and the university! Gwen Williams, center, a secretary in MTSU’s James..
Another MTSU employee has been recognized for outstanding service to her department, colleagues, students and the university! Jamie Morgan, center, executive aide to Dean Lana..
Another MTSU employee has been recognized for outstanding service to her department, colleagues, students and the university! 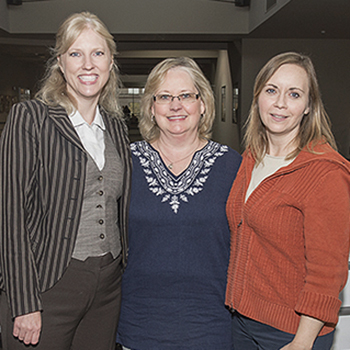 Nina Endsley, center left, an account clerk III..
Another MTSU employee has been recognized for outstanding service to her department, colleagues, students and the University! Darlene Fults, center, executive aide for MTSU’s Department..